Check out imdb and you will find that Elinor Glyn has 28 screenwriting/story credits, three producing credits and two credits for directing. She also wrote 30 novels (some which were turned into films) a collection of short stories and at least 6 non-fiction books. Her most famous film, ‘It’ starred Clara Bow, and introduced a new expression into the English language which we still use today. Elinor was paid $50,000 for that particular movie. When I tried to convert that into a modern-day equivalent, various websites suggested between $660,000 and $8 million. A huge difference, but I think it’s still fair to say it was – and is – a lot of money. Clara Bow was ‘the girl’ in ‘It’ and Elinor Glyn is credited with boosting not just Bow’s career, but also that of Gloria Swanson, turning the latter from ‘giggling starlet to elegant star’. Although Elinor Glyn has been portrayed on-screen by Joanna Lumley in The Cat’s Meow, I think it’s about time this remarkable and inspiring woman got a movie – or TV series – all to herself. Until then, click here, to see Elinor Glyn make an entrance (at 45 seconds) in her own movie ‘It’. 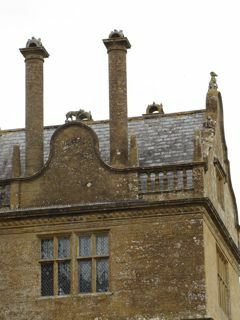 Montacute House is a late Elizabethan house in the village of Montacute in Somerset, England. Its original owner, Sir Edward Phelps, was the prosecutor during the trial of the Gunpowder Plotters, who included Guy Fawkes. The Phelps family owned the house until 1929 when it was put up for sale, valued at 5,882 GB pounds ‘for scrap’. Fortunately it was bought by the grandson of Thomas Cook (of the travel company) and donated to The National Trust. So where does Elinor Glyn come in to all this? Elinor lived at the house with her lover, Lord Curzon, for 18 months. Did Elinor hope to become Lady Curzon? Curzon was an ambitious man. A former Viceroy of India, he had dreams of becoming Prime Minister, but would the public have accepted Elinor in the role of Prime Minster’s wife? 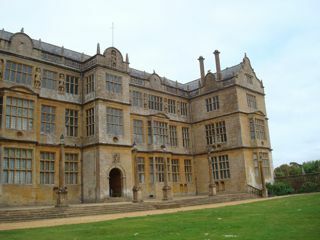 Elinor was staying at Montacute awaiting Curzon’s return from London when she read in the Sunday papers of his marriage to a rich American widow. Very hurtful and very humiliating. But he never did become Prime Minister and she went on to find fame and fortune in Hollywood. A screenwriting friend recently drew my attention to an article she found on-line. In contrast to women’s experiences in modern-day Hollywood, did you know that once upon a time, women were the most famous and well-paid screenwriters? As I scrolled through the list of names, the picture of Elinor Glyn caught my attention. I’d never heard of her until a few years ago when I visited the stately home of Montacute in Southern England where she lived with her lover Lord Curzon – but what a woman! Once again I have to ask, Why hasn’t someone made a film about her life? 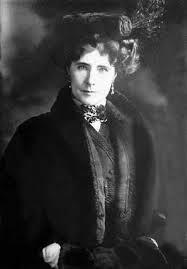 Elinor Glyn was born Elinor Sutherland to a Scottish father and Canadian mother on the Channel Island of Jersey in 1864. Following the death of her father, her mother took Elinor and her sister Lucy (who went on to become the famous dress designer Lucille) back to Guelph, Ontario. 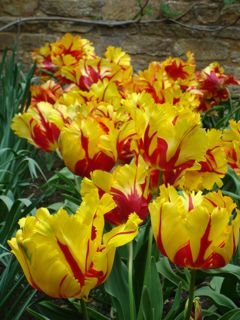 They remained there until Elinor was eight before returning to Jersey on her mother’s remarriage. Elinor married Clayton Louis Glyn, a barrister, in 1892. They had two daughters, but due to his recklessness with money, Elinor was forced to begin writing to keep the family financially afloat. Elinor essentially created the modern romance novel, her most famous work being the ‘scandalous’ (for its time) Three Weeks. It was an unhappy marriage and Elinor had several affairs which scandalized Edwardian Britain. A famous poem of the time was: Would you like to sin With Elinor Glyn On a tiger skin? Or would you prefer To err with her On some other fur? Following the death of her husband in 1915 and the end of her relationship with Curzon, Elinor moved to Hollywood in 1920 where she became a very successful screenwriter – but more about that on Friday!